Aspiring young journalists from across the state of Oregon met in Eugene on Tuesday, Oct. 15 for the 2013 Fall Press Day. The Northwest Scholastic Press Association (NWSPA) and the University of Oregon School of Journalism & Communication (UO SOJC) hosted the events, which included skill-based workshops and notable guest speakers. The conference was held on October 15 from 7 a.m. until 3 p.m. in the EMU student union on campus at the University of Oregon. According to Guru Amar Khalsa, an intern for NWSPA, attendance at the 2013 Fall Press Day was expected to include nearly 500 middle school and high school students from across the state. 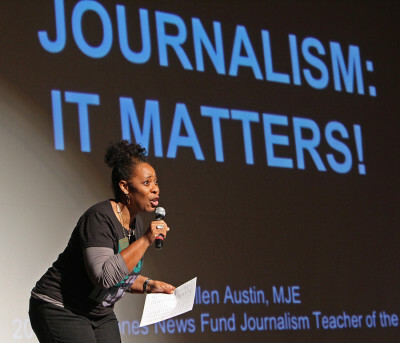 This year’s event included lectures and workshops led by some of the most respected minds in the Pacific Northwest journalism community, including keynote speaker and 2012 Dow Jones News Fund High School Journalism Teacher of the Year Ellen Austin. Austin is the Director of Journalism at The Harker School in San Jose, Calif. and spent four weeks of her summer working in London as a National Endowment for the Humanities grant recipient. Other guest speakers for the 2013 Fall Press Day included UO SOJC professors such as Ed Madison, Dan Morrison, Deb Morrison, Peter Laufer and Kyu Ho Youm. Unfortunately, however, UO SOJC associate professor John Russial believes that recent budget cuts have caused lowered attendance than previous Fall Press Days. The lack of more flexible spending, Russial said, has likely forced hundreds of students to miss the events because schools can’t afford to secure transportations for students from across the state. Registration for the event reached nearly 600 students, but Russial remembers when the event had more than 800-900 people in attendance. Fortunately, he still believes the event is a positive experience for many of the young students that had attended this year. “It’s great for high school kids to spend a day working with journalism and see if it’s something that they want to pursue,” said Russial. The event included a faculty of approximately 40 advisers that led roughly 30 breakout sessions. Some of the more popular breakout sessions at the conference included multimedia workshops. According to members of the NWSPA, multimedia storytelling is a creative field of journalism often overlooked by young students interested in the industry. Another session that was offered at the conference included a workshop on cross-cultural and cross language journalistic interviews. Led by UO SOJC professor Peter Laufer, who has either studied or taught at institutions around the world, the session taught students how to properly pursue interviews when the subject does not share a common culture. “This not only gave students a taste of what it’s like to learn about journalism, but also served as good recruiting for the university,” said Russial. Anchor Bryan Kalbrosky discusses the Miami Dolphins hazing scandal and the proposed consequences for the involved players. Produced by Alan Sylvestre. Eugene artist Ray Kraut refers to himself as a luthier, a term used to describe someone who either makes or repairs stringed instruments. Kraut may only have time to build a dozen or so guitars in a given year, but the value of his crafting skills has been sustainable since he moved to the Pacific Northwest. Based in the studio of a home that he now rents to tenants, Kraut works roughly ten hours a day for nearly two or three months on each guitar before he finally views the instrument as finished. The difference between Kraut, an independent craftsman, and a major manufacturer can be found in his process. Kraut says larger guitar companies (e.g. Martin, Gibson, Taylor, etc.) build for mass quantities of production and have standardized styles for each of their guitars. Kraut spends significantly more time with each instrument than many other craftsmen can afford to take with a single instrument. In order to remain productive, however, Kraut works on two or three guitars at the same time. He may be working on shaping the mold of a guitar on the same day that he’s finishing the neck of a separate guitar. Perhaps the most challenging part of Kraut’s crafting process is obtaining his favorite wood for the body of his instruments: Brazilian rosewood. Brazilian rosewood is considered to produce the most ideal tone for all stringed instruments. The wood was so popular with artisans and furniture makers, however, that it became overharvested. In the mid-1970s, the CITES (the Convention on International Trade in Endangered Species of Wild Fauna and Flora) treaty was enacted. According to CITES.org, the treaty was enacted to “ensure that international trade in specimens of wild animals and plants does not threaten their survival” and has all international trade subject to certain controls. Kraut and other craftsmen have to follow strict laws to get the wood. For example, many suppliers harvest the wood from a tree that naturally fell down. Kraut has also heard of people that bought old South American properties in order to remove the particular rosewood from the beams. Kraut has taken trips to various parts of the world just to obtain the wood. Kraut also works with many other types of wood as well. The back and sides of his instruments use wood from across South America and Africa. He features Italian wood on the soundboard, which makes up much of the sound for the guitars. In order to create the binding on each of his instruments, he uses African ebony. For the design on the front of the body, his preferred wood is Sitka spruce. He is one of the few remaining craftsmen to use the dovetail method when building the necks of his instruments. This method uses a self-compressing joint that connects the neck of the guitar to its body. The advantage is that it does not screw a single bolt into the guitar. Kraut prefers the dovetail method because it does not add any extra weight on the instrument. “Everything you do when building a guitar has an extreme impact on its sound,” said Kraut. Because sound is created through the transfer of energy, Kraut explains that adding a bolt blocks sound from passing through the body. The dovetail joint, however, is self-compressing. It allows a more fluid “voice” to pass through the instrument without any disruption. Additionally, Kraut sculpts the “braces” on his instruments to allow effective energy transfer. Braces are the wooden planks that structure the back of the guitar and hold the instrument together. Kraut then rests the mold of his instrument on top of the body. Next, he seals the two together with weightless “shellac” glue. The glue comes from the shell of a lac beetle. While Kraut is known for his association with his longtime mentor Ervin Somogyi, from Hungary, Kraut is considered to be a more affordable alternative. The base price is roughly $9,000 for one of Kraut’s instruments, but he remarks that upon completion a client will typically pay $12,000 to purchase one of his guitars. When building a guitar, Kraut says that there is always more to think about. He explains that two of the most important aspects include the structural integrity of the instrument as well as the actual sound that it will produce. He hopes to produce unique qualities in his craftsmanship, and he spends hours working with clients on perfecting each design. Kraut prides himself on never reproducing the same design on two different instruments, and penciled sketches of ideas can be found in nearly every inch of his studio. 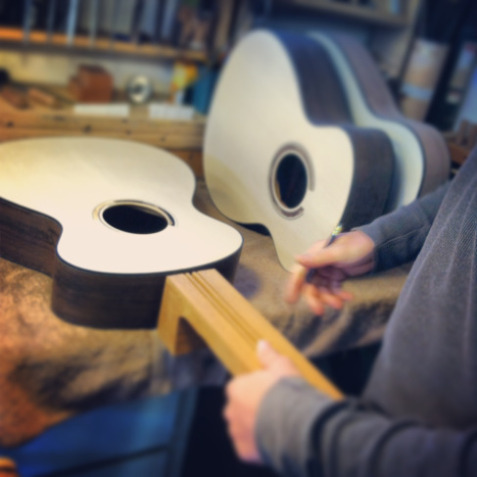 For Kraut and craftsmen around the world, process is how he gets from an initial sketch to a beautiful, finished guitar. The Lane Education Service District was notified on November 1 that the Eugene School District plans to opt out of their contract and seek financial independence for the 2014-15 school year. Each year, the sixteen districts in Lane ESD vote on what educational services they would like to see provided. The options vary each year, depending on what is needed at each district. The districts then select which services they want at each school based on a unit cost. The decision for Eugene 4J to quit Lane ESD, however, means a projected loss of approximately $5.4 million. Budgets for educational services are allotted to schools based on how many total students are enrolled in the combined districts. With 16,000 students, the Eugene School District is currently the largest to use services from Lane ESD. Lane ESD has a total budget of roughly $16.6 million, which means that the budget for next year would be cut by nearly 33 percent if Eugene 4J were to finalize its decision. Their announcement to opt out of the contract cannot be made official until the beginning of March. Many of the smaller districts that operate through Lane ESD, though, are already preparing for the projected impact. “This decision would make it more challenging to add some things that we’ve lost over the years,” said Tony Scurto, superintendent of the Pleasant Hill School District in Lane County. Educational services that have previously been cut from his district, without any foreseeable budget to be reinstated, include: business classes, forestry classes, and their own transportation service. Two of the total four schools that were once in the district have been closed as well. Scurto, who oversees 900 students, believes that Eugene 4J’S decision will make budgeting for next year even more challenging. He says Pleasant Hill projects a loss of roughly $36,000 per year, which would be the equivalent salary of an educational assistant. “Unfortunately, with state funding in the last decade, this further takes away the cooperative spirit that should be involved in with making opportunities better for every student,” said Scurto. Carol Knobbe, assistant superintendent at Lane ESD, said Eugene 4J planned to leave the district because they wanted more control over the dollars that they generated. According to Knobbe, Eugene 4J believes that the overall revenue should have been divided strictly by student count. “Our framework has always been about what’s good for all kids and all districts in the county,” said Knobbe. Core services provided to every school are technology and school improvement. Optional services include special education classes, school psychologists and various business services. These service orders for each district will be due on March 1, 2014. That date is also when Eugene must give final notice that they will no longer use the services provided by Lane ESD. If they withdraw their funding, however, Knobbe believes it will be noticed across other local districts when it comes time for funding. Knobbe worries that there may be a shrinking in the core services provided to smaller districts with the projected budget loss. This would be a severe hit considering how much lower the overall budget is for these districts. One question that has yet to be settled is whether or not the current open enrollment policy will still apply to students in the Eugene district. The policy allows students that reside in one district to attend any of the other schools within Lane ESD. This policy is able to help smaller, more rural schools increase enrollment and obtain more financial flexibility. This works, according to Scurto, because the only way to increase revenue is to increase enrollment. Lane ESD hopes to keep this policy in order to help smaller districts like Lowell or McKenzie recover from the losses suffered by Eugene seeking financial independence. It’s unclear whether the Eugene School District will continue to cooperate with the other districts in Lane County for program planning. “As an education service, I don’t think we would ever have interest in shutting the door in the relationship with a district,” said Knobbe. While Eugene 4J may still ask to use some of the services provided by Lane ESD, they will not be allowed to provide any weight on what the actual services will be. Those decisions would be made entirely by the remaining districts within Lane ESD. 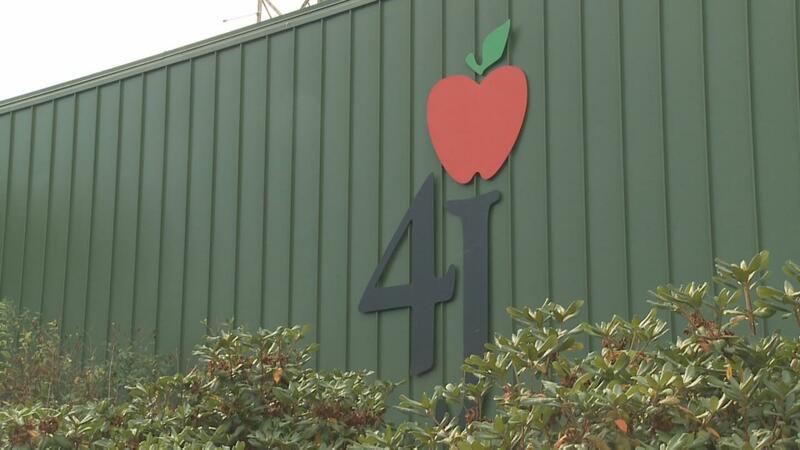 Some districts believe Eugene 4J’s decision to seek financial independence may also alleviate previous tension between big districts and small districts. Andy McNamara knows that he never would have had the opportunity to be the Assistant Athletic Director at the University of Oregon if he hadn’t been open to trying new opportunities. McNamara is in charge of the athletic communication office at the Oregon Ducks Athletic Department. He is the main communications director for the Oregon Men’s Basketball team and is a key contact for the Oregon Ducks football team as well. 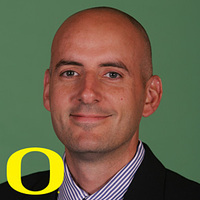 McNamara also coordinates media relations and leads the social media presence for the Oregon Ducks. When he was first hired, the Oregon Ducks had the seventh-largest digital presence in college athletics. McNamara also helped to launch the Quack Cave, which was the first social media command center in the NCAA. McNamara is a graduate of the University of Maine, where he studied broadcast journalism. In college, he had hoped to pursue a career in sports radio. Shortly after college, McNamara quickly landed a gig as the play-by-play announcer for the Portland Pride in the Continental Indoor Soccer League in Oregon. Because they lacked anyone else for the position, he also served as the VP of Communications for the team. When the league was dismantled, however, McNamara began working for Portland State University as the Assistant Director of Media Relations. McNamara felt that he was vastly unqualified for that position when it was first offered him, but he found the courage to accept the position. While working at Portland State, McNamara led communications for volleyball, soccer and wrestling. He didn’t know much about those sports, he said, but the university still trusted him to complete the job anyway. His attitude helped him stand out from similar candidates in the sports media industry. McNamara stayed at Portland State from 2000 until 2005, when he came to the University of Oregon as an Assistant Director for Media Services. His new position was created for him last September, when the Oregon Ducks Athletic Communications Department was restructured. His job with the Oregon Ducks keeps him very busy managing media requests from outlets across the country. He identifies key skills that have paved the way to his success as having ability to identity publicity techniques, solid writing skills, solid communication skills and the ability to handle different types of personalities. He says being able to adapt and be flexible while also being cool under fire is invaluable. McNamara encourages students to get to know other people who already have the jobs that they would like to have, which is how he was able to eventually work his way to the position that he has today. He originally thought he wanted to go into play-by-play sports broadcast, and he still does freelance broadcasting in his free time. Working in sports forces McNamara to work many odd hours and lots of weekend shifts, but also recognizes the privilege that he has to work in the distribution of sports information at the University of Oregon. “I feel very fortunate to have a job where I’m excited to go to work in the morning,” said McNamara.